You can save $100 now on registration for the 9th annual VideoNuze Video Advertising Summit on Wednesday, May 29th at the Westin Times Square in NYC. On top of saving $100, you also double your chances* of winning a 55-inch Roku 4K TV, generously provided by Roku. The Video Ad Summit is a must-attend event for anyone in the industry interested in a deep dive into video advertising, especially the converging worlds of online, traditional TV, mobile and connected TV advertising as well as the broader digital landscape. The program will feature a mix of keynotes, panel discussions, fireside chats and research presentations, covering the most critical topics in the industry. I’ll be sharing detailed program information and our first group of speakers shortly. 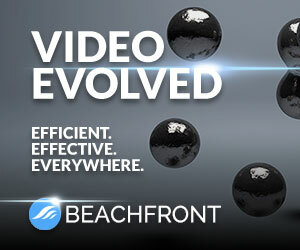 Last year's Video Ad Summit drew over 300 attendees and 50 executive speakers. The 2019 Video Ad Summit will once again be the premier video-focused event of the year. I'm excited to have 10 industry-leading companies on board as initial partners, including Title Partner Deloitte Consulting; Premier Partners Extreme Reach and Telaria; Headline Partners Beachfront Media, Penthera, SpotX, TiVo and Xandr; and Branding Partners Brightcove and Roku.